Here’s how you can download iOS 12 Beta 5 without a developer account right now on your iPhone or iPad absolutely free. 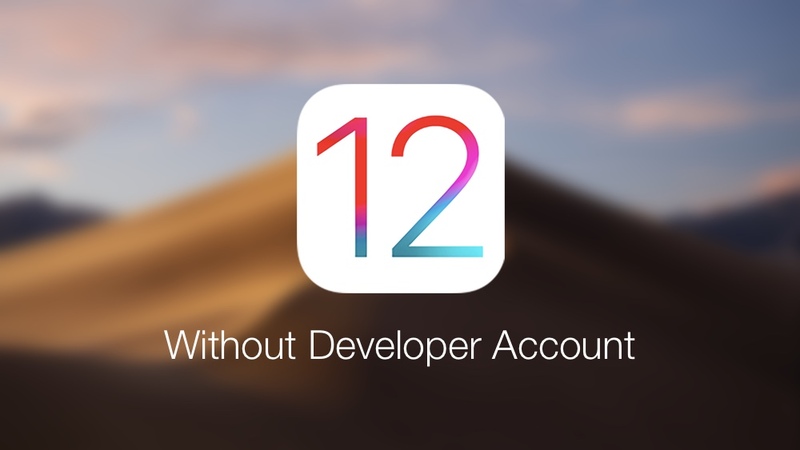 Now that the developer-oriented iOS 12 Beta 5 is available for download, it’s only a matter of time the public beta version is released for those enrolled in the Beta Software Program. But of course, if you’re reading this, it’s probably because you’re very impatient and want to get in on the action way before anyone else. If you already have the iOS 12 Public Beta build installed, then you’re slightly out of luck. However, if you are running iOS 11.x, then you can jump onto the latest iOS 12 Beta developer build before any public beta tester right away. Just follow the steps below and you’ll be up and running in no time. Note: Please make sure that you backup your data to a safe and secure location before proceeding. If something does go wrong, at least you will have a backup of your data to go back to. 1. Download the following profile straight onto your iPhone or iPad on which you wish to install iOS 12. 2. Once the profile is installed, you will be required to restart your device so please do so. 3. Assuming you’re connected to a WiFi network head over to Settings > General > Software Update. 4. Tap on Download and Install and you’re good to go. Be warned though, this method of installation is not sanctioned by Apple in any way. You are doing this at your own risk. That’s the main reason why we asked you to create a backup of your data before going ahead – you can either use iTunes or iCloud for that.